Here is the sign up page and the May-June linky if you already have reviews up. One randomly-selected participant would receive a copy of Lone Wolf, courtesy of Pansing books. Click here to view Myra’s announcement post to learn more details. Book borrowed from Peninsula Library. 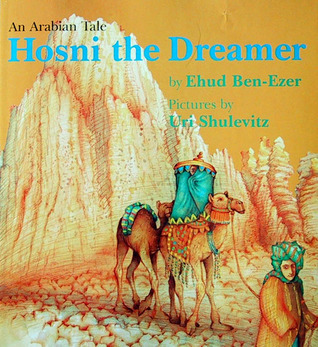 Hosni the Dreamer is a short Arabian tale written by Israel writer Ehud Ben-Ezer. He was a recipient of the Prime Minister Prize for Literature twice. In Hosni the Dreamer, readers are introduced to a young boy named Hosni. Hosni is a shepherd in the desert and he has always wanted to see the big city. Hosni works with other shepherds but he prefers to keep to himself. On days that he does not have anyone to talk to, Hosni turns to the sheep for company. Instead of playing with the other shepherds, Hosni likes to stay inside the tent and listen to travel stories of the tribal elders. Hosni has always lived in the desert, and the elders’ tales of adventures from the city are a source of inspiration for him, in hopes that one day he’ll be able to see the city. An unexpected opportunity arrives, and Hosni packs up for the big city. What happens to him in the city and after that, I leave for you to find out. Uri Shulevitz has been featured a couple of times here in GatheringBooks. 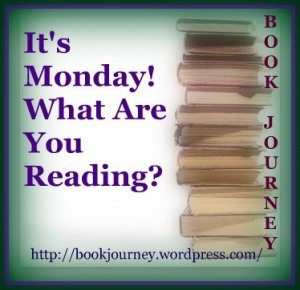 (Check out these Nonfiction Wednesday and Saturday Reads posts featuring his works.) 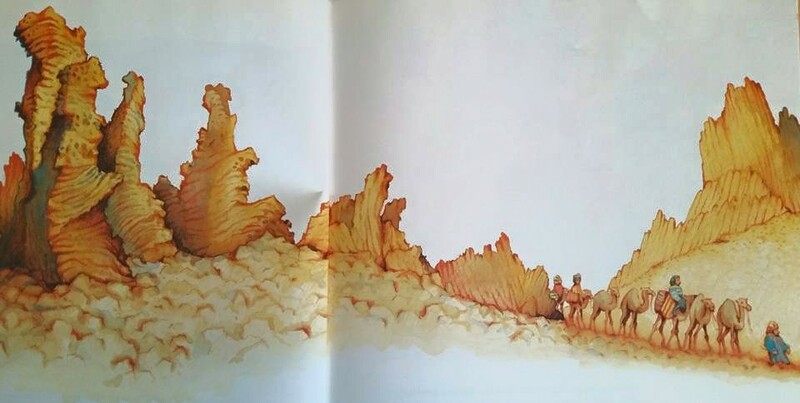 In Hosni the Dreamer, Uri Shulevitz does not disappoint with his stunning watercolor illustrations that capture the beauty of the desert and the people who live in it. Hosni the Dreamer is a good literature resource to help children learn about life in the desert. Book borrowed from the Hudson Library & Historical Society. Published in the same year as Hosni the Dreamer, Ali Child of the Desert is another ‘desert story’ that parents and teachers can use. The story was inspired by the author’s and artist’s personal experiences in Morocco and the Sahara desert. Although Morocco has ties to the Middle East, the country is more African than it is Middle Eastern. 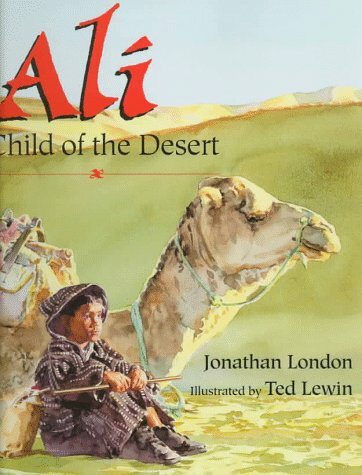 In Ali, Child of the Desert, readers encounter another boy who rides through the desert. Unlike Hosni, Ali is not a shepherd. 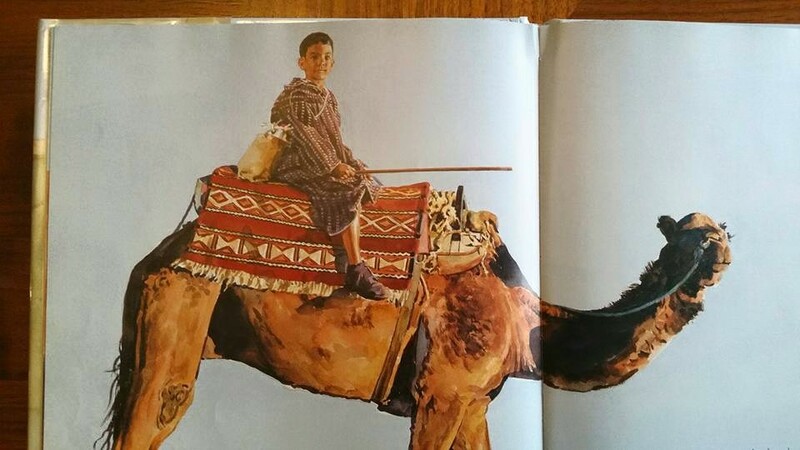 He is traveling with his father to the market town of Rissani where they will sell the camels that rode with them. (Ted Lewin, the illustrator of the book, has a fondness for Rissani because of the people’s hospitality and their incredible storytelling.) It takes a good three days’ journey to reach the Moroccan market town and Ali is determined to prove to his father that he is a young man now, capable of big adventures. Unfortunately, a sandstorm occurs, separating father and son. 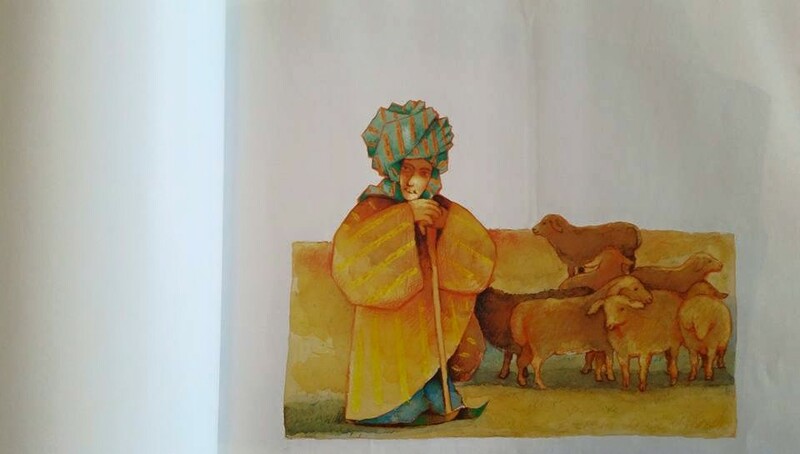 Along the way, Ali meets a goatherd and a young boy who were modeled after a real goatherd and young boy that the author met during his travel to the Sahara desert. 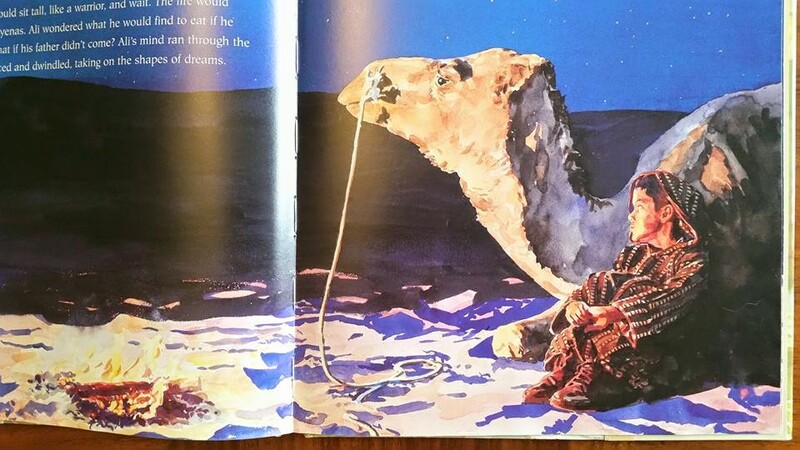 The rest of the book shows the kindness of strangers and the remarkable courage of a young boy who stays in the desert to search for his father. This is the second time I borrowed Helen Oyeyemi’s novel. I was able to make some progress over the weekend so I guess that’s a good thing. 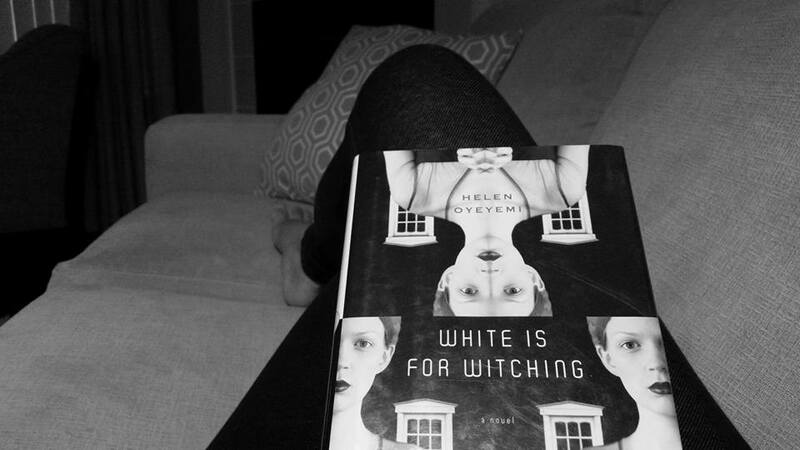 White is for Witching is a peculiar novel with an American Horror Story feel to it. As I read your post I thought of Deep In the Saraha by Kelly Cunnane and Hoda Hadadi https://www.goodreads.com/review/show/838236144 It’s a beautiful book about a young girl wanting to grow up and be just like her mothers and older sisters.